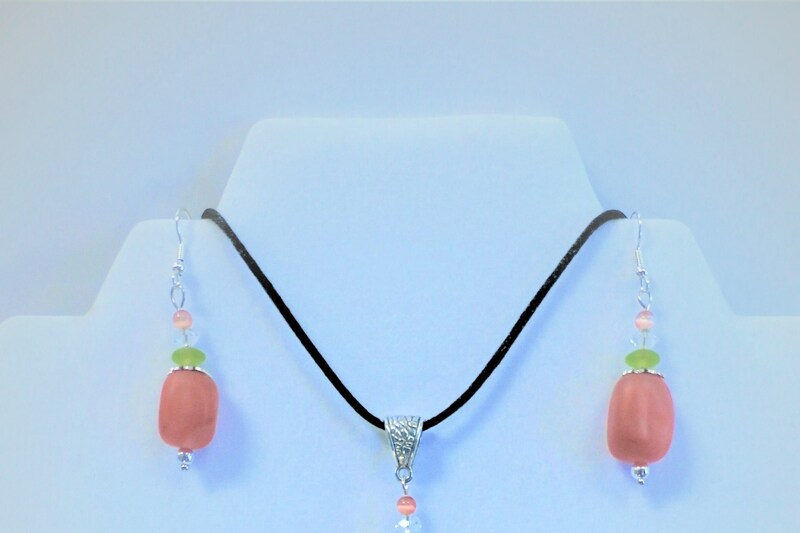 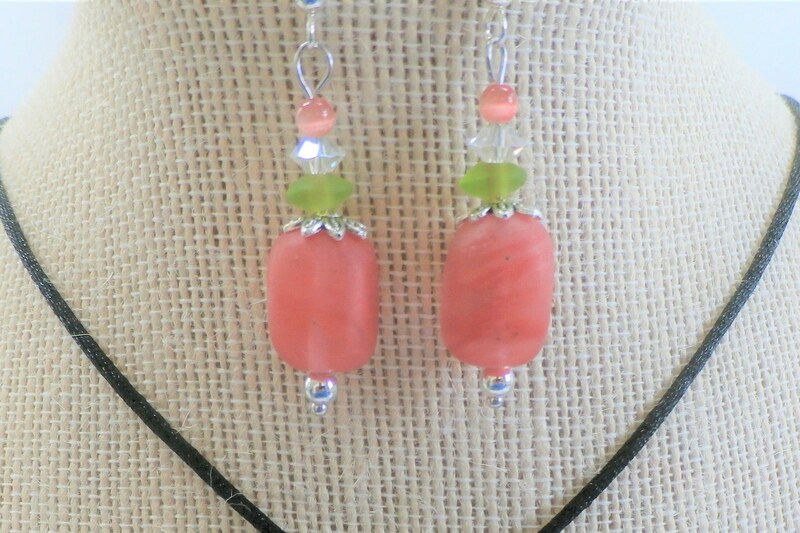 Papaya Collection Coral Necklace and Earrings Set. 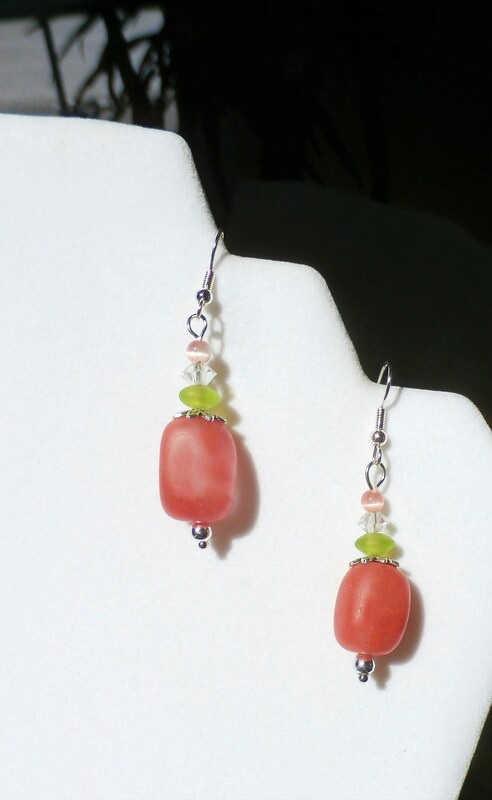 Coral and green tumbled sea glass beads. 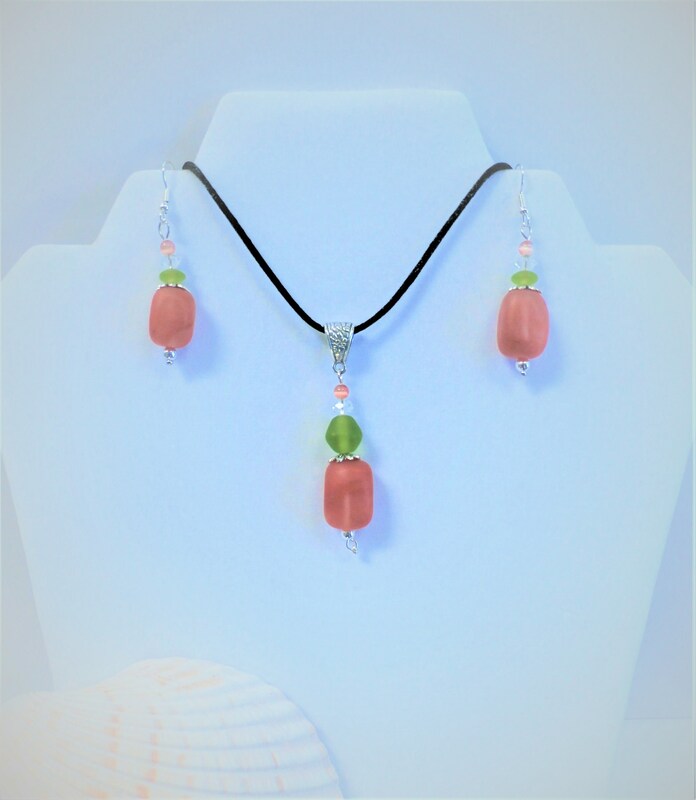 All beads are individual....these are real tumbled glass no two alike....thank goodness!